The New Music is a film that looks at a little know medical condition, as well as the struggle to readjust your life when things don’t turn out the way you initially planned. The film tells the story of Adrian, a classical pianist with extraordinary talent, who discovers he has Young Onset Parkinson’s, a rare form of Parkinson’s Disease affecting sufferers under fifty. Despite this debilitating condition, Adrian joins a punk band as a keyboard player and rediscovers his life through music and love. 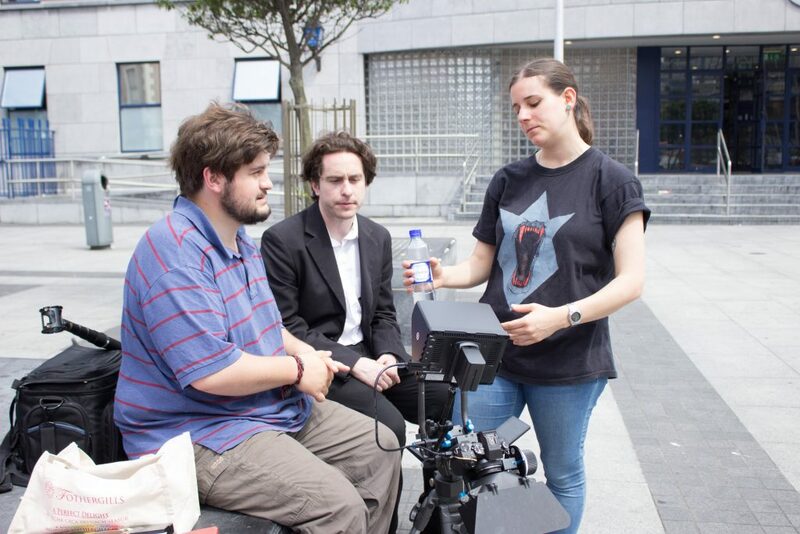 The shooting of the film has now concluded, with a crowd-funding campaign underway to ensure the film’s release and raise funds for Young Parkinson’s Ireland. Film In Dublin spoke with the film’s director Chiara Viale, as well as actor Cilléin McEvoy about the film and their efforts to see it released.